Probably no legendary sea monster was as terrifying as the Kraken. According to stories, the huge many armed creature could reach as the top of a sailing ships mast. 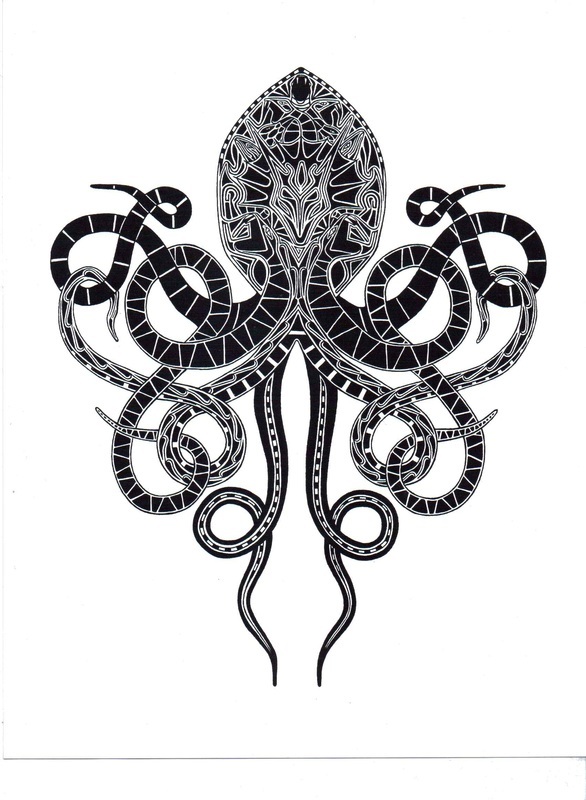 The Kraken would attack a ship by wrapping it's arms around the hull and capsizing it. Tales of a huge many armed and or many headed sea creature have existed since ancient times. The Greek legend of the Scylia, a sea monster with six heads that Odysseus must sail past during his travels, is an example of this tradition. Although the term "Kraken" is first found in print in Systema Naturae​ in 1735, stories of the monster date back to the 12th, century in Norse mythology. These tales often refer to a creature so big it is mistaken for an island. In 1752 the bishop of Bergen, Erik Pontoppidan, wrote his The Natural History of Norway,​ in which he described the Kraken as "incontestably the largest sea monster in the world...and it is said that, if they were to lay hold of the largest Man-of-War, they would pull it down to the bottom." Despite this, Pontoppidan says that the most danger the Kraken represented to ships came from the disturbance it made as it came to the surface or the whirlpool it created as it descended below. Later drawings and descriptions bring the Kraken down in a smaller but still monstrous size. Though early descriptions depict the Kraken as more crab-like, by the 18th. century it was depicted as a giant octopus or squid. The Kraken of legend is probably what we know today as the giant squid. While considerably smaller than the ancient stories, they are still large enough to attack a whale. On at least three separate occasions in the 1930's they have reportedly attacked a ship. While the squid got the worst of the encounter, the fact that they attacked at all shows that it is possible for these creatures to mistake a vessel for a whale and that ancient mythologies very well could have been based on actual attacks.